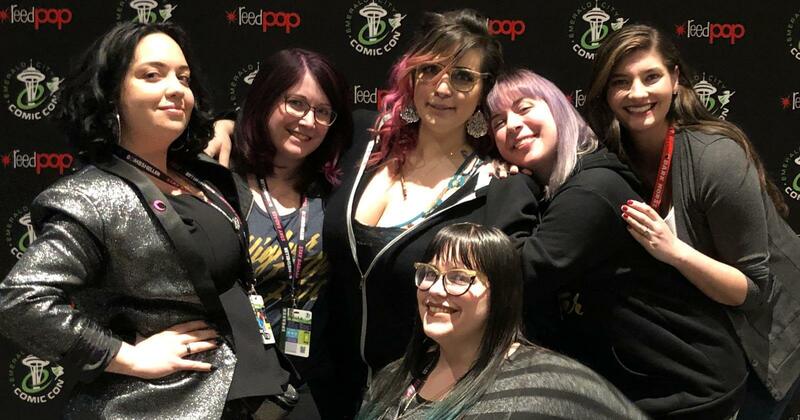 Con season is upon us again, and we started the year with one of our favorite shows – Emerald City Comic Con in Seattle. 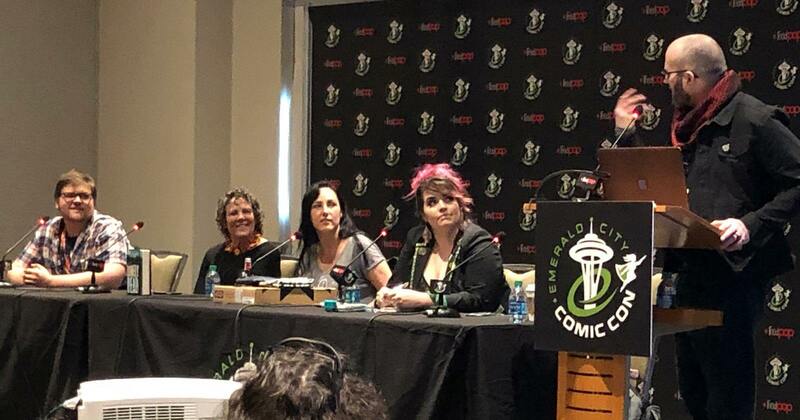 Between our Nerd For A Living and Fictitious panels — as well as some wonderful pop-culture business focused conversations we moderated for fellow nerd bosses — we presented a total of 8 panels at ECCC. It was A LOT, but every one of them felt different, special and immensely valuable. And it wasn’t ALL WORK and no play. We had some incredible conversations and adventures — and even a dance party! 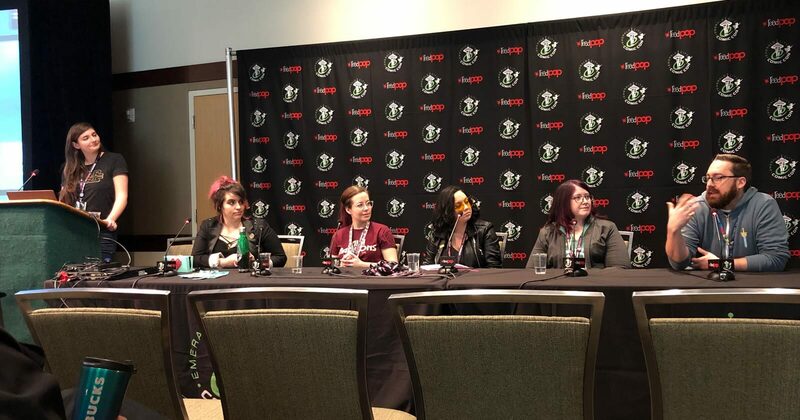 We started the convention on a big high, with Wendy moderating our signature “How to be a Nerd for a Living” panel. 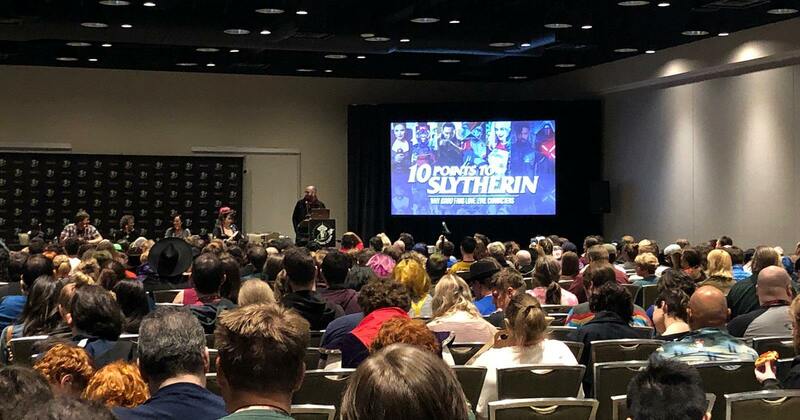 This was our 6th year at ECCC putting on this panel, and it may have been the best we’ve ever had. 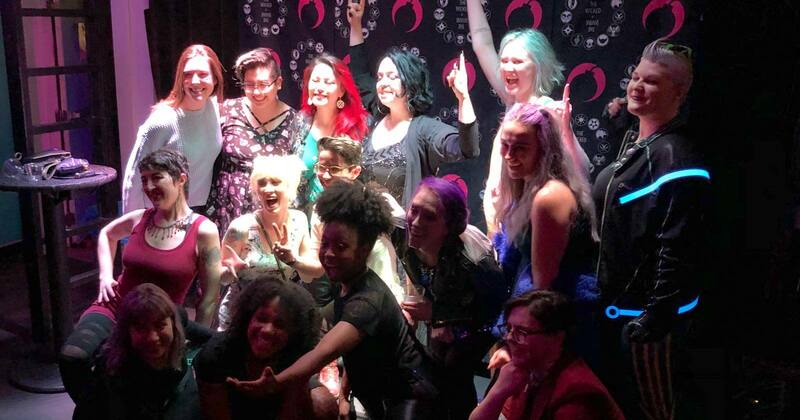 Our guests were positively stellar, and had so many insightful and delightful anecdotes to share — as well as a lot of excellent advice for anyone in the audience seeking a career in comics, animation, gaming, writing and even self-care (thanks to GeekGirlStong). 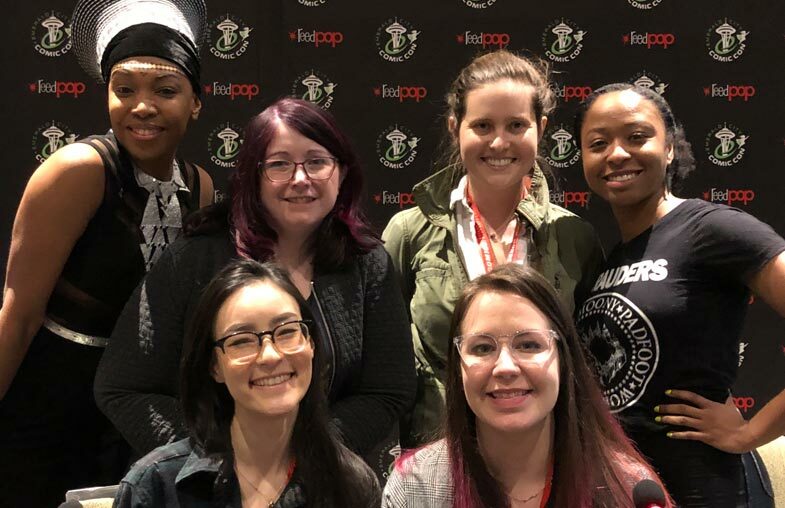 Thanks again to the incomparable Afua Richardson, Robyn Warren, Katherine Arden, Sara Talmadge and Liana Kangas — and to everyone who started their ECCC with us for this fantastic hour! This amazing diverse group of women! Literally the best panel I’ve ever done. I came away so so inspired and happy and hopeful. 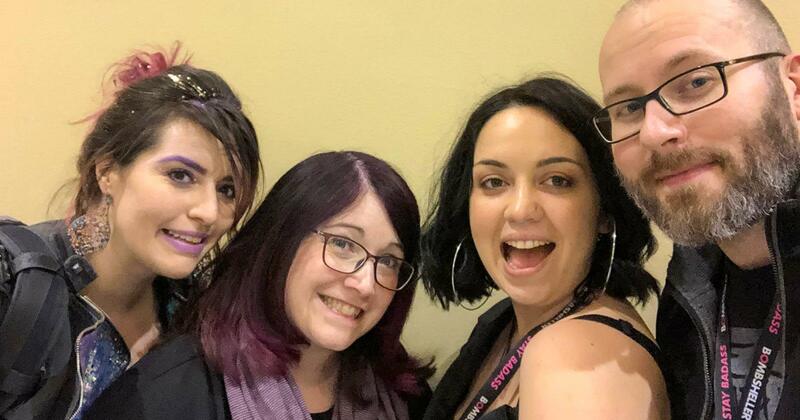 Next up was a brand new panel presented by our Fictitious podcast called “Story Unlimited: Using Non-Traditional Methods & Media to Tell Your Story”. This discussion focused on the new options that modern media presents for creators to tell stories and win new audiences. 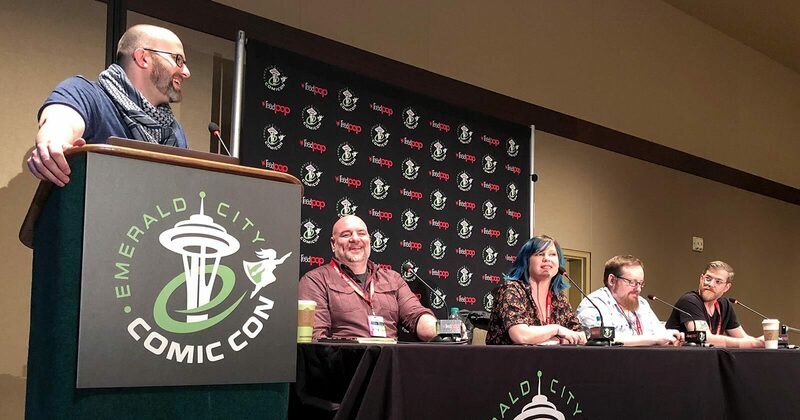 Adron had a fantastic chat with our phenomenal panel of guests who shared thoughts, experiences and recommendations for online storytelling platforms ranging from audio dramas to RPGs to mystery box subscriptions. We’ll be sharing audio for this panel as well on the Fictitious podcast feed soon — but in the meantime, check out work from our guests Gwenda Bond, Brian McClellan, Rob Hart, and Dave Accampo. 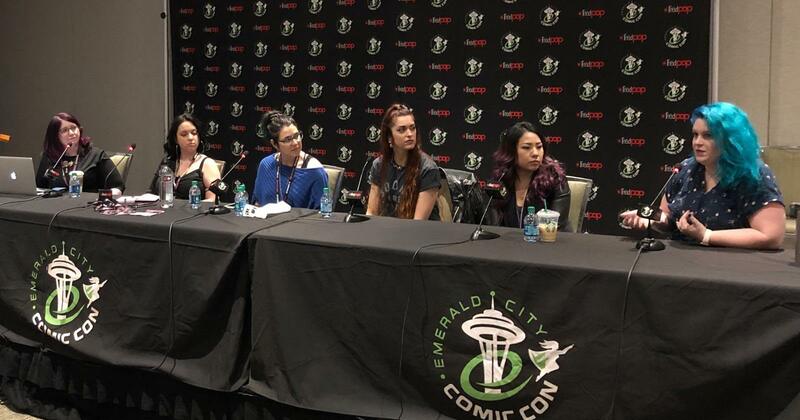 We closed day one of ECCC having some real talk about being an entrepreneur on “The Cult of Side Hustle”. 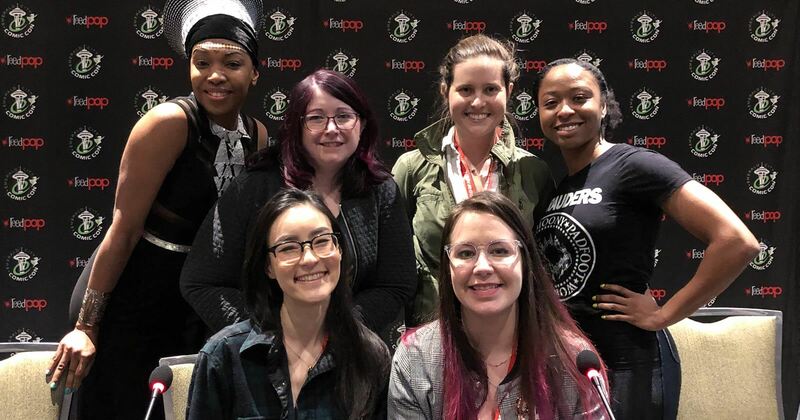 Wendy was joined by Jaimie Cordero, Jordan Ellis, Jazzlyn Stone, Tara Theoharis, and Jen Vaughn for a full-on, no nonsense run down of the big pros and heavy cons of hustling hard. 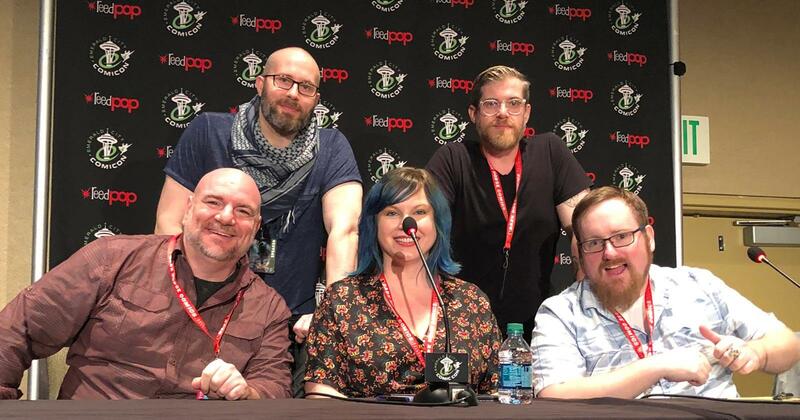 We hope to be doing this panel a lot more in the future, and can’t thank this group of bosses enough for being so candid, thoughtful, and fun to chat with. This one was an all-time fav! This panel from FICTITIOUS — 10 Points to Slytherin: Why Good Fans Love Evil Characters — is always one of our favorites. 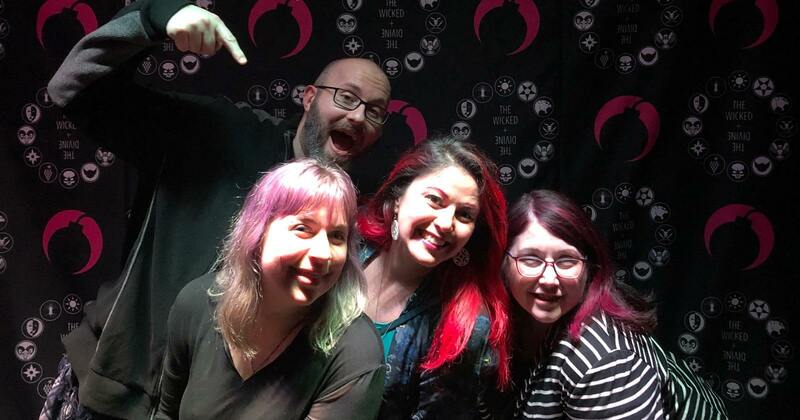 Adron had the chance to talk about villains and why we love them with authors Sam Sykes, Delilah S. Dawson, and April Henry, along with our favorite light-side Slytherin, Jaimie Cordero. 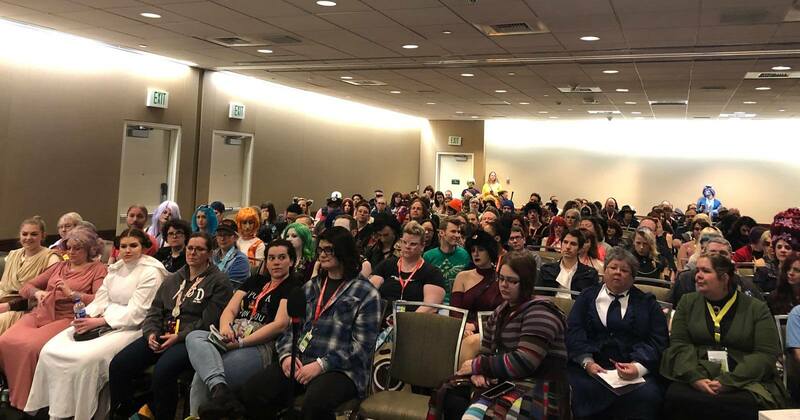 We had a huge turn out of villainous fans who packed the ECCC panel room. Many laughs were had by all (and only those who attended will know the dangers of OwlSharks and sticks of butter in bathrooms). 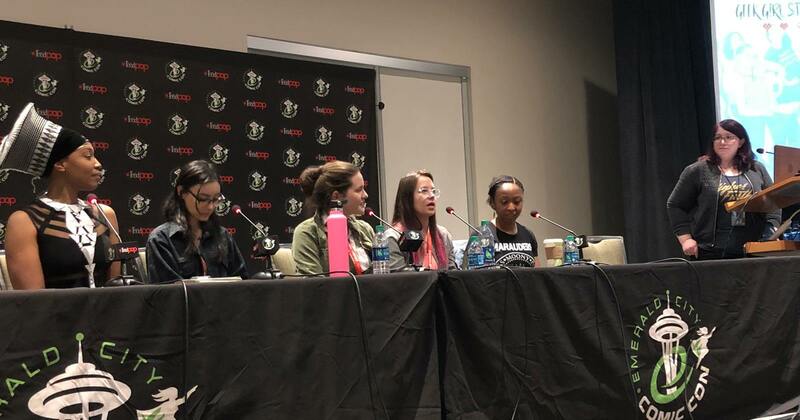 This panel, presented by Bombsheller, was filled with great information on what to do when you’re ready to take your art and turn it into merch. 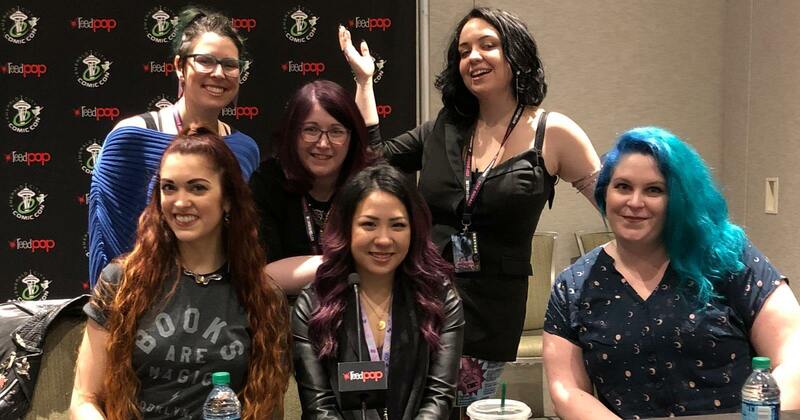 Wendy moderated this STACKED panel of experts in the space, including Jen Bartel, Andrea Demoskas, Jazzlyn Stone, Lauren Sankovitch, and Alison Ciminio. This panel is chock full of tips for those at every level of developing merch (from advice on everything from product design to shipping) and will be shared by Bombsheller soon. Watch for a link to see it all! 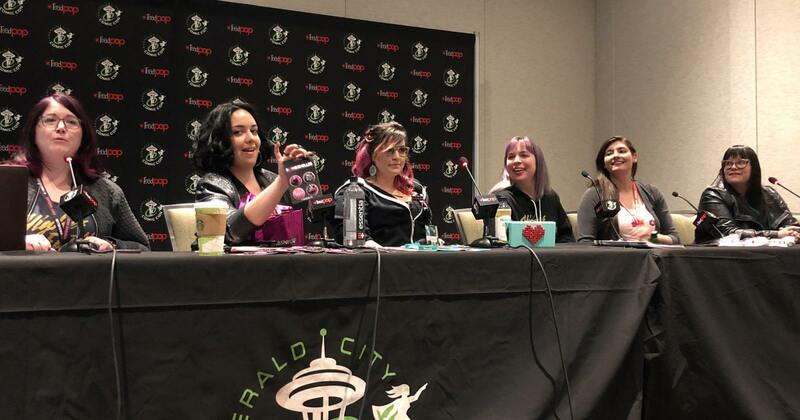 Our friends at Espionage Cosmetics asked Wendy to moderate two of their panels at ECCC. 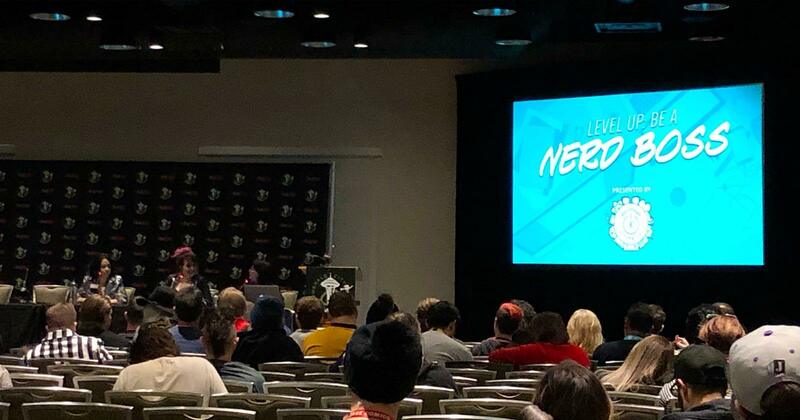 Their “Level Up: Be a Nerd Boss” panel is always a great time, with lots of good tips for those trying to become nerd bosses themselves. Wendy joined Espionage Cosmetics CEO Jaimie Cordero, and Bombsheller COO Jazzlyn Stone, for this great conversation. The second Espionage panel was devoted to cosplay make-up and how-to’s. 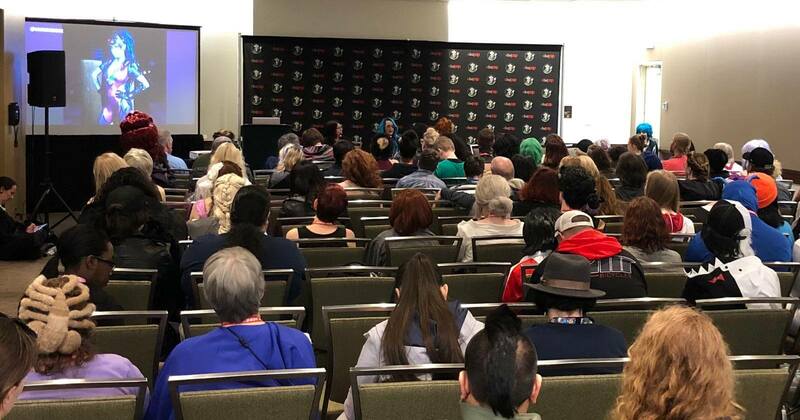 Wendy led a Q&A session with a packed audience who picked the brains of Dawn Dominic (aka BangBangBetty) and Hillary Jae (aka LilRedRogue). 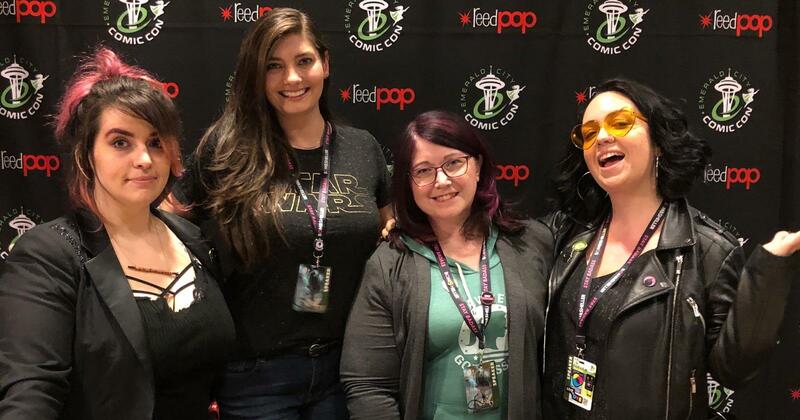 Finishing off our long ECCC weekend, we presented our inaugural “Nostalgia Marketing in Geek Biz” panel. This conversation about how the things we loved in the past affect what we create (and buy!) in the present was genuinely fun and informative. Big thanks to Tara Thoeharis for moderating this discussion, and to Mike Collins, Jaimie Cordero, Liana Kangas and Jazzlyn Stone for joining Wendy on the panel. 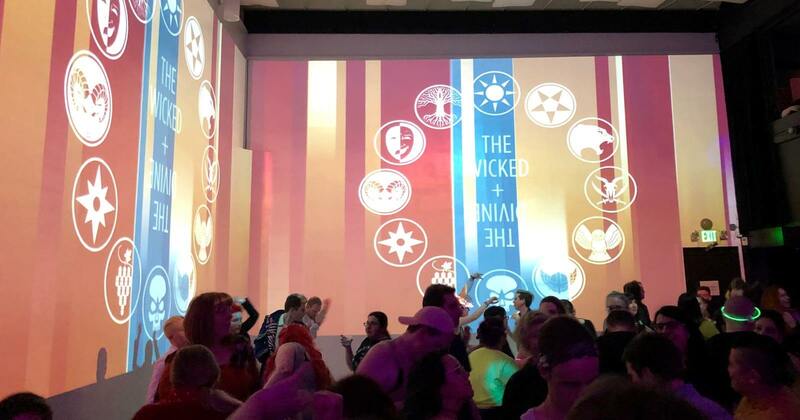 Huge thanks to the entire Bombsheller team for having us at their amazing The Wicked & The Divine party, DJ’d by the WicDiv creators themselves, Kieren Gillan and Jamie McElvie.